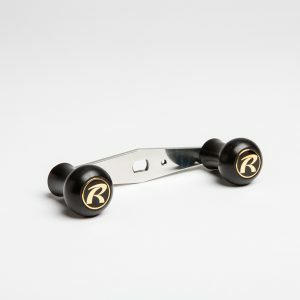 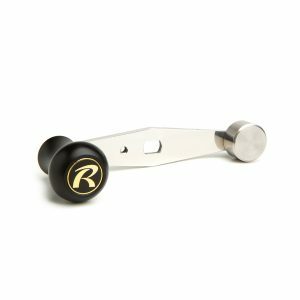 3mm Stainless Steel or Gold Plated Brass (dependent upon the reel model), featuring our latest “Round Ball” design with each knob containing 2 ball bearings & a logo. 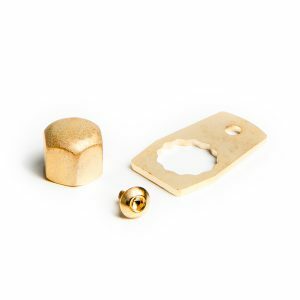 Incorporates a 24ct Gold Handle Plate, a 24ct Gold tight locking Handle Nut, a 24ct Gold Allen Key Screw & an Allen Key. 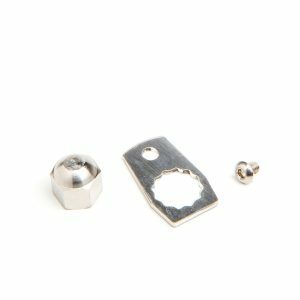 Incorporates a polished Stainless Steel Handle Plate, a tight locking Handle Nut, an Allen Key Screw & an Allen Key.